I have the pleasure of being a part of the scientific committee of the conference "Worlds of Entanglement at IFICC - Chile", to be held at the Institute of Philosophy and Complexity Sciences (IFICC) in Santiago de Chile on 7-8 March 2019. The event is the continuation of previous events such as Worlds of Entanglement (Brussels 2017), Times of Entanglement (Shanghai 2010) and Einstein Meets Magritte (1995). Interested colleagues are invited to submit an abstract to be considered for a talk and subsequent publication of an article in a special issue in the A1 Springer journal Foundations of Science​​​​​​​. I have contributed with three articles in this forthcoming volume, published by World Scientific. One, written with Diederik Aerts, is about showing that the “extended Bloch representation of quantum mechanics” is able to also handle infinite-dimensional quantum entities. A second article, written with Diederik Aerts, Sandro Sozzo and Tomas Veloz, is about showing that that there is a difference between physics measurements and those measurements that are performed by psychologists. Indeed, in the latter, one deals with a collection of different measuring apparatuses, one for each participant in the psychological experiment. All these different participants, when they are modeled as “measuring apparatuses,” cannot be assumed to select an answer all in the same way (i.e., with same individual probabilities). And when this fact is duly taken into account, one can show that the overall statistics of outcomes not only is not a classical statistics, but is not even a quantum one, i.e., it requires a “beyond-quantum” probabilistic model. Finally, a third article is dedicated to Diederik’s overlooked solution to the Einstein-Podolsky-Rosen (EPR) paradox. Many physicists will still affirm today that this paradox has been solved by the many Bell-test experimental results, which have shown that entangled states are indeed a reality. However, the validity of the EPR ex-absurdum reasoning is independent from the Bell-test experiments, and the structural shortcomings it evidenced cannot be eliminated. These were correctly identified by Diederik, already in the eighties of last century, and are about the inability of the standard quantum formalism to describe separate physical systems. In the article, I try to bring this important result to the attention again of the physics' community, trying to explain its content and implications. Here the link to the volume. 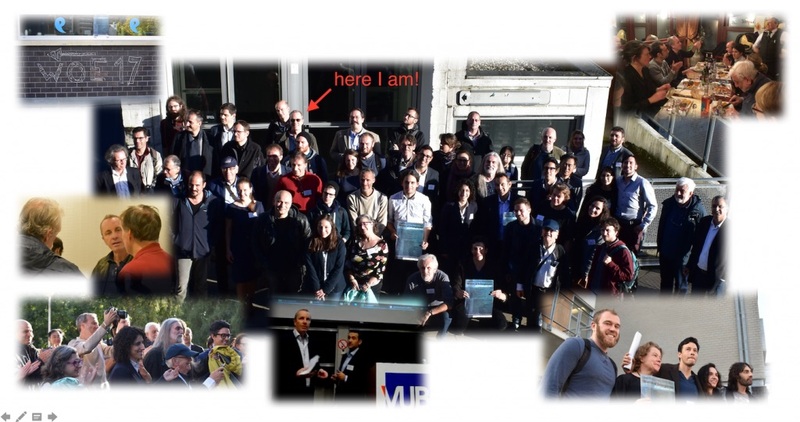 ​​​​At the end of September, I was in Brussels, entangling with colleagues and friends at the “Worlds of Entanglement” symposium. As you will discover, by exploring the symposium's rich program, there are session revolving around very different themes, like quantum foundations, entanglement in social science, economics and uncertainty, complex systems and others. I presented, in the quantum foundations session, Diederik Aerts’ conceptuality interpretation of quantum and relativity theories. More precisely, I tired to explain how we can understand the strange behavior of quantum and relativistic entities by adopting a very bold hypothesis: that instead of being objectual entities, they would be conceptual entities. Not in the sense that quantum and relativistic entities would be human concepts, but in the sense that they would share with the latter the same conceptual nature, similarly to how, say, sea waves and sound waves, although very different entities, can nevertheless share the same undulatory nature. Here a video with the content of my talk. Here all the videos of the symposium. And here an open access review article which is an expansion of the content of my talk. 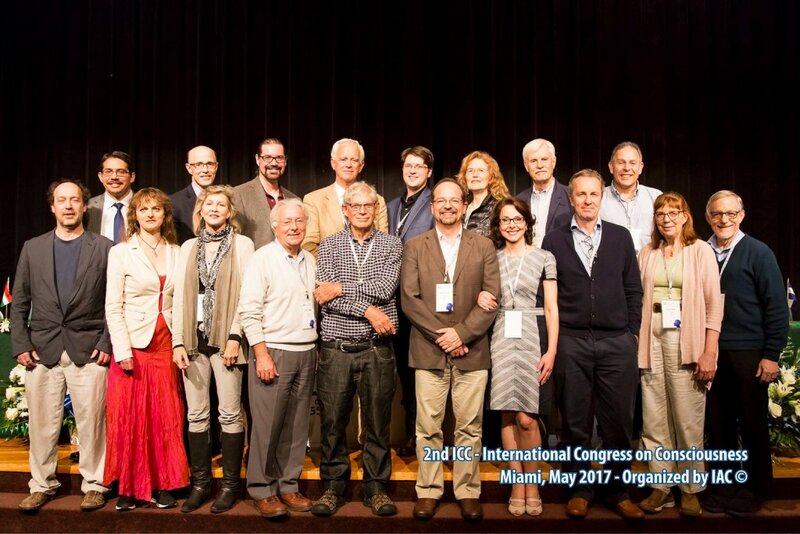 ​​​​​It was a great pleasure to be part of the second edition of the International Congress on Consciousness (ICC), organized by the IAC - International Academy of Consciousness, which was held in Miami, Florida, from May 19th to 21st, 2017. As it was the case already for its first edition, the IAC succeeded in actualizing an “unlikely event,” with a surprising mixture of topics, styles and approaches, all revolving around the notion of consciousness and its numerous manifestations. This is of course inevitable, when such a multidisciplinary (not to say transdisciplinary) domain of research is tackled, crossing over so many different visions, experiences and motivations. This also means that a certain inhomogeneity in the level of the different presentations is impossible to avoid, but I believe is also something to be in part welcomed. Indeed, this remains a research field still at an embryonic stage of development, so that all intellectually honest attempts to capture even the tiniest ‘elements of reality’ of its elusive content, though only in ways that are anecdotal, conjectural, or even metaphorical, are important in order to shape the future more solid explanations, the more specific questions to address, and the game changer experiments to conduct, be them in the first, second, or third person. My talk was about the notion of “multiplex realism,” which I developed together with Diederik Aerts. It was a sort of continuation of my presentation of two years ago, where my exhortation was to take quantum physics and consciousness more seriously, accepting all the consequences that follow from such enterprise. This time my accent was in the breakdown of our parochial spatiotemporal representation of the physical reality, and the fact that the latter is so complex, and contextual, that a single viewpoint appears to be insufficient to stage it in a all-inclusive way. My conclusion was that the quantum and relativistic revolutions have not yet been fully integrated in our modern worldview, still predominantly based on purely spatial and mechanistic models, certainly inadequate to account for all known (inner and outer) phenomena. An extended worldview is however gradually gaining ground, although it is still perceived to be highly non-intuitive by the majority of scientists, physicists included. It is however this extended worldview that we need to adopt if we want to have a chance at understanding the complexity and richness of our world, both at the physical and consciential (extra-physical) level. If we do so, many phenomena that currently appear to us as extraordinary, and therefore difficult to accept (like precognition, which I mentioned in particular in my speech), may suddenly look very “down-to-earth.” This would be so because we would have brought earth back to its original place, where it has always been: in the “depths of the sky.” Among the presentations I particularly appreciated, let me mention, in no particular order, the ‘biophoton emission studies’ by Beverly Rubik and Harry Jabs, the ‘therapeutic and evolutionary implications of retrocognition’ by Viktoria Duda, the discussion about ‘scientific disagreement’ by David Collura, the ‘conceptual model about the nature of reality’ by Federico Faggin, the ‘bioenergy detection via nuclear magnetic resonance’ by Wagner Alegretti, the analysis of ‘persistent non-symbolic experiences’ by Jeffrey Martin, the ‘analysis of psi phenomena experienced by children’ by Nanci Trivellato, the ‘near-death experiences perspective studies’ presented by Pim van Lommel, and the ‘children’s reports of past-life memories’ exposed by Jim B. Tucker. Two very nice moments that also marked the congress were the ‘lifetime achievement award’ honoring the lifetime achievement of Robert G. Jahn and Brenda J. Dunne (the two of the famous ‘Princeton Engineering Anomalies Research (PEAR) program’, which flourished for nearly three decades under the aegis of Princeton University) and the heartfelt musical performance by George Arrunateghi. So, my compliments to the IAC, and their professional staff, for the impeccable organization of the event, which I’m certain will become a classic of its kind. The International Quantum Structures Association (IQSA), of which I am a member, is a society (founded in 1990) for the advancement and dissemination of structures based on quantum mechanics, in its physical, mathematical, philosophical, applied and interdisciplinary aspects, including the relevant aspects of: convex structures, logico-algebraic structures, orthomodular structures, quantum logics, empirical logics, operational structures, realistic structures, quantum measurement, quantum geometry, quantum statistics, quantum probability, quantum topology, quantum space time, quantum set theory, quantum information, quantum communication, quantum computation, fuzzy quantum logics. Its 2016 biennial meeting was Organized by the School of Management and Institute for Quantum Social and Cognitive Science (IQSCS), University of Leicester (United Kingdom). My talk was about the issue of "Extending the quantum formalism to solve the measurement and entanglement problems." Here the paper of the talk, which was published in the IJTP. It was an energizing experience to be part of the 1st International Congress of Conscientiology, organized by the IAC (International Academy of Consciousness), which in May 2015 brought together in Portugal an unusual group of researchers and self-researchers from different disciplines and organizations, all moved by the same desire to further our knowledge of the full spectrum of phenomena related to the manifestation of the consciousness. The remarkable aspect of the congress was not however its multidisciplinarity and interdisciplinarity, which is typical in consciousness studies, but the effort made to address this vast subject from an authentic multidimensional perspective, without undue reductionisms and in the ambit of a debate which although at times became highly speculative, always remained scientific in its spirit and in the way the different possibilities were explored. Here the paper of my talk. And here its Italian translation.